This common phrase is one I’ve come to love — “That won’t work at my church because …” On the VBS team here at LifeWay, one of the things continually stressed is how important it is to consider multiple viewpoints when editing curriculum for churches. In a brainstorming planning session, there are people representing several types of churches from a church plant in a gym to a small country church to a large city church — and everything in between. When we hear, “That won’t work at my church because …” it inspires us to try our best to imagine how material will be used and how we can set leaders up for success in their VBS ministry. A church serving full meals, instead of using snacks, because there are kids in their community who don’t get enough to eat during the summer. For churches that don’t have enough adult workers, some are doing a Student VBS during Spring Break, or a Disciple Now weekend, in order to train their youth to help with the kids’ VBS later that summer. Taking VBS or Backyard Kids Club on mission during Spring Break or during the summer and paring it down to simplify it for an international trip. Rather than having a central VBS, one church is doing only Backyard Kids Clubs at various homes in the community because it wants to touch more unchurched people. There are literally as many different ways of using VBS curriculum as there are churches using it. And we love seeing and hearing about everyone’s creativity in ministry! How do you adjust VBS to fit your church community or “think outside the box” to use VBS to reach wider and further? We’d love to hear your comments! Bethany Brown is a Production Editor for the LifeWay Church Resources VBS Team. She is a member of Hermitage Hills Baptist Church where she works with preteens and Backyard Kids Club. Bethany has seen kids ministry in many different cultures growing up in East Africa as a missionary kid. She loves helping kids learn how much they are loved and valued by God. 20 Things I Love About VBS! There is much to love about Vacation Bible School. Let me count the ways! The joy and laughter of a kid racing into the building from her parent’s car. A dining table that hasn’t witnessed a meal in weeks due to a marathon of VBS preparation. Flower-shaped butter cookies and red fruit punch. The realization that salvation really is a gift. Glow-in-the-dark stars stuck on the classroom ceiling since VBS 1998. Adults becoming kids again and loving crafts as much as the second graders. The look of wonder when a child “gets it” during Bible study. The chaos of the first day. Learning that I am a “pearl of great price” to God. The phrase of an ABC song that randomly pops into your mind at the strangest moments. The baptism of a parent who met Jesus as a result of his son attending VBS. Shell macaroni glued to a cigar box and painted gold. The pastor who joyfully returns to the dunking booth until every kid has had a chance to hit the target. The boy who drops five sno cones in less than five minutes. The unchurched family that comes back on Sunday. The timid first-time volunteer who shines like a star in the universe as she holds out the Word. The kindergarten boy who breaks every rule in the book yet melts your heart when he hugs you good-bye. Total exhaustion resulting from a day that made a difference. The legacy of a time-tested outreach – this thing we call VBS – that year after year impacts more lives and results in more professions of faith than any other single ministry. Thank you, VBS, for giving me so much to love! Jerry Wooley is The VBS GUY!! He serves as the Vacation Bible School Specialist for LifeWay. Don’t expect to talk with Jerry for too long without him asking you about VBS. Jerry loves the local church and serves in various roles (including VBS teacher extraordinaire) at Inglewood Baptist Church. For many of us VBS leaders it’s time for a change in the way we think about the purpose and expectations of VBS — especially those of us who have been in leadership for a while. Each January we get the opportunity for a “do over.” We have the opportunity for a fresh start. It’s time rethink not only what happens during the week of VBS, but especially what happens in the weeks following. 1. To change the way I perceive VBS as THE event, to VBS being the prelude to the real event — Continued Connections (follow-up). For many churches VBS continues to be the best way to identify and begin relationships with unchurched families. However, when we think of the week of VBS as both the beginning and the end of an event we tend to allow the relationship to end with the last session. 2. To enlist a Continued Connections leader/director to help create and lead the process of building on relationships initiated during VBS and moving families into the life of the church. 3. To become more intentional in preparing for, inviting, and welcoming unchurched families through VBS. 4. To make sure every worker understands the evangelistic potential of VBS and has been trained to lead someone into a relationship with Jesus Christ. 5. To stress the importance of training by taking my workers to the nearest associational or state VBS training event or VBS 2014 Preview. Statistics reveal a correlation between the number of VBS workers trained and the number of professions of faith. Some areas of the country report 1.1 professions of faith for every one person who attends training. 6. To ensure every member of the congregation not only knows when VBS is being held but why VBS is being held, and the part each person plays in making continued connections. 7. To reproduce myself by making VBS a team effort and by delegating as many responsibilities as possible. Consider attending a VBS 2014 Preview event. Find one near you! Have you seen VBS 2014 Starter Kits, Decorations and Music & Worship? Jerry Wooley is the VBS GUY! He serves as the Vacation Bible School Specialist for LifeWay. Don’t expect to talk with Jerry for too long without him asking you about VBS. Jerry loves the local church and serves in various roles (including VBS teacher extraordinaire) at Inglewood Baptist Church. A great way to minister to your community continues to be through the ministry of Vacation Bible School. VBS has been around for over a century, but God continues to use it to bring people of all ages into His kingdom. While religious education might have been it’s original purpose, God has bigger plans for VBS than just a summer opportunity for young believers to learn more about Him. While this original purpose is absolutely essential, God also uses VBS as a bridge — a bridge to the spiritual orphans. It is absolutely possible to take all the fun and excitement that VBS brings and use it to build those bridges. Are you interested in knowing how to do that? Have you ever wanted to take VBS at your church and do more than you thought possible? Why not join us at one of our VBS Preview events? We host several around the country and we help you unpack almost every element of VBS. These affordable events really can help you take your VBS to another level. It’s the season for fall break, fall festivals, and fall holidays. But it’s also the time you should begin planning for your 2014 Vacation Bible School. The earlier you plan, the better your experience will be. Some of you have already gotten your VBS catalog. These seven tips will help you keep it simple and make your VBS planning a complication-free experience. The last thing you want causing frustration is an event as fun and life-changing as Vacation Bible School. 1. Set up a meeting with your pastor. Ask him to share his heart for the purpose and potential of VBS. Use this opportunity to get on the same page and align your vision and goals with your pastor’s. 2. Make sure VBS dates are on the church calendar now. Find a week that does not compete with other ministries. Be ready with a couple of good dates that can work, in case someone else has already booked your first choice. Nail down the date on the church calendar and begin publicizing your VBS dates to the congregation now. 3. Enlist a co-director or small leadership team. There is tremendous energy in dreaming, planning, and dividing responsibility with another person who has a shared passion. 4. Create a calendar of bite-sized chunks of work that needs to be accomplished over the next nine months. Begin with your VBS dates and work your way backwards. It’s amazing what you can accomplish by breaking the work to be done into small parts. It keeps the workload from getting overwhelming and reduces the stress on everyone involved. 5. Enlist key leaders early. Get division or age-group team leaders and others on board as early as you can. Then make them responsible for enlisting their own teams. Be sure to give a clear list of responsibilities and expectations before enlisting any workers. Lack of communication – with church staff, congregation, and VBS volunteers – is one of the biggest culprits of complication and stress. Make sure everyone is constantly informed of the who, what, where, when, why, and how of your VBS. 7. 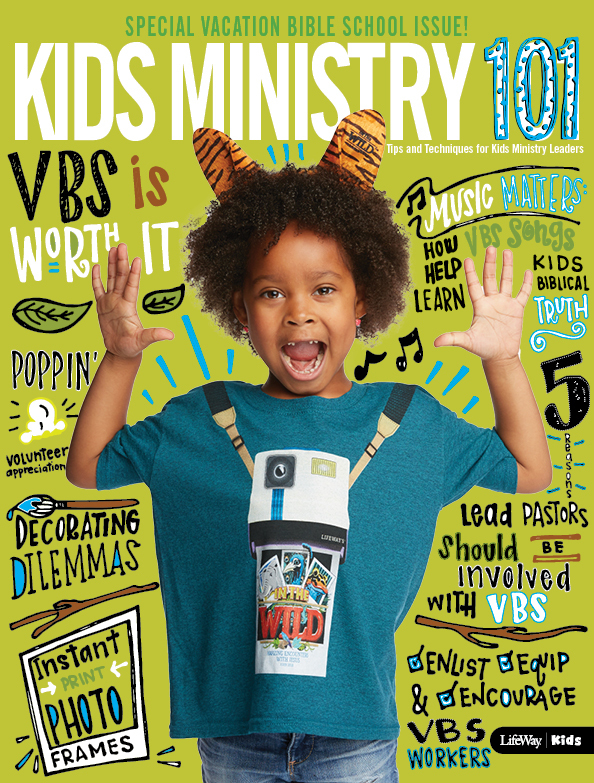 Get the VBS resources you need to plan – now. Have you heard about the new VBS Jump Start Kit? It’s a new resource that contains everything you need to begin planning and promoting for VBS 2014 — the Administrative Guide for Directors, Decorating Made Easy, music, posters, and more. 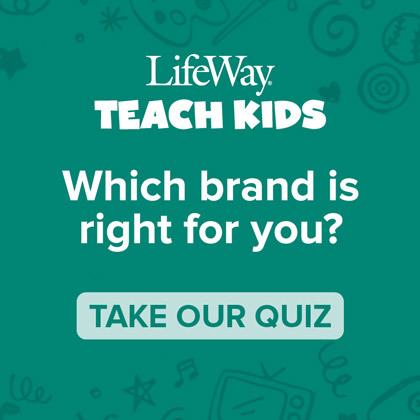 Watch a video about how it can help you at Lifeway.com/vbs. From time to time I hear fellow kids ministers say, “Kids Ministry would be great if all we had to do was deal with kids!” So true! However, those in kids ministry quickly learn that along with those kids come parents, families, and leaders. A great percentage of our time is actually spent with adults. Today, let’s talk about parents. Today’s parents are very busy, possibly over scheduled, and they practice a lot of “helicopter parenting.” They hover over their kids, rescue their kids from many learning experiences, and from time to time have tunnel vision related to their kids weaknesses. Not That: Argue and attempt to justify your own actions/decisions. Try This: Pray for these parents by name. Let them know that you have prayed for them in a positive way. Not That: Distance yourselves from these parents and avoid them. Not That: State that the child is disruptive and he can never come back to church activities! Try This: Just be there for them! Not That: Feel like you have to preach a sermon and know every Bible verse that deals with that crisis. In 1996 LifeWay introduced a catchy way of helping boys and girls know how to respond to the Good News of Jesus Christ. “The Wild and Wonderful Good News Stampede” was the beginning of 18 (and going strong) Vacation Bible Schools where the ABCs of Becoming A Christian has been emphasized. The “ABCs” is a wonderful way for kids to remember what one must do in response to the Gospel in order to become a Christian. The plan includes that Gospel presentation but what most kids remember is the ABCs, the response, and some ministry leaders have expressed concern that kids may not always know what they are responding to. A couple years ago CentriKid Camps developed a Gospel centered presentation that helps kids not only remember how to respond but it helps them understand and remember the Good News they are responding to. I love this mix and am using it almost every week during the Gospel Project for Kids at my church. If you’re not familiar with this presentation, check it out! We Sinned: Since the beginning of time everyone has chosen to disobey God (Romans 3:23). The Bible calls this sin. Because God is holy, God will not be around sin. Sin separates us from God and deserves God’s punishment of death (Romans 6:23). God Provided: John 3:16 tells us that God sent His Son, Jesus, the perfect solution to our sin problem, to rescue us from the punishment we deserve. It’s something we, as sinners, could never earn on our own. Jesus alone saves us (Ephesians 2:8-9). Jesus Gives: Jesus lived a perfect life but chose to die on the cross for our sins. Jesus rose from the dead after three days. Because Jesus gave up His life for us, we can be welcomed into a right relationship with God and be part of His family for eternity. This is the best gift ever (Romans 5:8; 2 Corinthians 5:21; 1 Peter 3:18). We Respond: It’s not enough to just know the Good News! We must respond to the Gospel. In order to spend eternal life with God one must ADMIT to God that you are a sinner. REPENT and turn away from self and sin to Jesus (Romans 3:23; 6:23; Acts 3:19; 1 John 1:9). BELIEVE in your heart that Jesus alone saves you through what He has already done on the cross (John 3:16; 14:6, Romans 5:8). CONFESS to others that Jesus is your Lord and Savior (Romans 10:9-10, 13). I love that kids are hearing the full Gospel and are learning not only what they should do, but how they can share with others the Good News of Jesus Christ! I remember serving on church staff and having different thoughts about coloring sheets. First off, when I served on church staff, my wife and I were DINKs (you know, double income, no kids). I remember thinking that coloring sheets were most of all a time filler and didn’t have much use for them. Then, I came to LifeWay. I remember hearing things about coloring sheets stifling creativity and I began to understand how coloring sheets could do that. I mean, kids have huge imaginations and when they are forced to color in the lines or make ducks yellow, I can see that it could be a bit restraining. As a parent and a church member, I have learned even more. There are a lot people who use coloring sheets, whether right or wrong, good or bad. They use them. There are a lot of kids who love them and there are a lot of kids who don’t. I also know that my five-year-old, Nash, loves coloring pages. 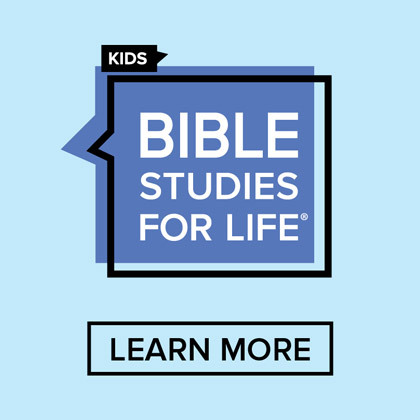 You may have noticed that LifeWay|Kids now supplies coloring pages for their curriculum lines: The Gospel Project and Bible Studies for Life. By supplying coloring pages, our goal isn’t to force people to use them. The goal is to help churches use coloring sheets better. You see, I’ve been in churches where the story was on Noah and the kids were coloring pictures of Snoopy. I’ve also seen teachers spending many hours downloading less than stellar Bible story coloring sheets that might have gone along with the lesson. Our goal is to give a biblically accurate, coloring sheet that directly correlates with each session. How much more impact does it make that your kids would actually color a picture of the story they are studying and also can see the “real” picture that it is from? Through my years in ministry, I haven’t been a fan of coloring sheets mainly because I feel preschoolers learn better through learning activities and coloring on blank paper allows them to be creative. Also, it’s difficult to find a quality coloring page that isn’t too hard for younger preschoolers. However, the last couple of months, I’ve witnessed some positive ways to use coloring pages. A few of our teachers for older preschoolers like to offer the coloring sheet provided on the enhanced CD as an early arrival activity. As the children color, the teachers use the time to introduce the Bible lesson for the day to the children. The teachers are providing a coloring page that reinforces the day’s lesson rather than finding one on the internet. Recently, I was with some preschoolers in my extended family. As I was playing with them, I decided to open up the coloring page on the Bible Studies for Life App. They loved using that feature and wanted to do it many times and each day I was with them. In both of these situations, the kids were so excited to show their parents their coloring page. This gave the parents an opportunity to help reinforce the Bible lesson. Although, I still don’t feel coloring pages are the best activity for preschoolers, I’m reminded the “how” and “why” is more important than the “what.” Whether the tool is a coloring page or a learning activity, it’s the teacher or the parent interacting and connecting with the child that helps the child learn the Bible lesson. I love Delanee’s line: I’m reminded the “how” and “why” is more important than the “what.” Whether the tool is a coloring page or a learning activity, it’s the teacher or the parent interacting and connecting with the child that helps the child learn the Bible lesson. So, what’s your opinion. Where do you stand when it comes to coloring pages? I’ll leave you with a quote from my mama: “My boys hated coloring sheets and always wanted to create their own works.” Consistently on my thread, I found it seems that boys tend to prefer blank paper and girls prefer coloring pages. I saw a flock of geese flying south yesterday. It’s still warm outside, and the sun is still up after dinner, but fall is definitely in the air. We are in a season change. Sweaters are grabbed last minute before leaving the house for school, but quickly shed as the sun bears down by lunch. Summer is saying a sweet goodbye, and a cool breeze is ushering fall into the door. Before we say goodbye, though, let’s not forget to help our kids and families remember all God taught us over the summer. For many of us, summer is a time where we allow a little more down time in our lives – teachable moments for God to use. Maybe that was at home where devotionals were easier to do before bedtime, or maybe it was going to camp or VBS where our kids had “mountaintop” experiences and truly encountered God. Perhaps the families at your church had some special time together during the summer on vacations or more time at home together. Whatever it may be, let’s capture those special summer moments and make them last into fall and all throughout the year. Remind kids of those experiences – keep their hearts focused on what they’ve learned and challenge them to share those things with the kids in their schools. Fall is here – an exciting new season for God to do some awesome things. But don’t forget what he’s already done. Celebrate, commemorate, and appreciate his blessings in every season. Meet them at the door! What better way to communicate than face-to-face? Your attention, first to their child, and then to the parent, speaks volumes! Everything else rests on the foundation of that personal relationship you build week after week. Ask how their week was. How was soccer, basketball, ballet, piano…you get it. Show that parent you have an interest in them outside the church walls. Attend those school and sports events, send birthday cards, make phone calls and celebrate milestones. Pray with and for them. Let them know you’re praying for each child in your class. Ask for specific ways you can pray. You may get surface requests at first, but as you build a relationship, they’ll develop a trust that allows you to walk with them through some tough times. Send notes of encouragement. Brag on their child. As a mom of two boys, how I would have welcomed hearing some good words, whether at the door, in a phone call, or in a written note or e-mail. Take a minute to walk through the take-home page with the parent after the session. Sometimes we have a habit of just bundling everything up and not pointing it out. They may not realize the page is something they can use to continue the learning at home. Thus…the pages left outside in the hallway! 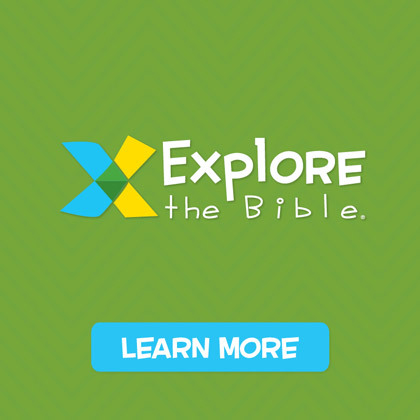 Introduce parents to “apps” that will encourage family interaction on the Bible story. 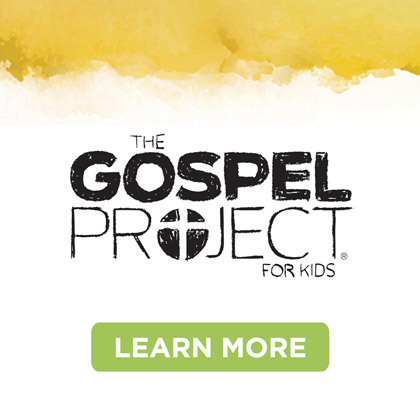 The Gospel Project for Kids and Bible Studies for Life: Kids both have great family apps! Lastly, just be there. Be available when they need an ear, a shoulder, or a friend. I’m interested in how you connect with parents. Please share!